Rose Absolute diluted at 5% in pure Jojoba Oil. Rose Absolute Light is excellent for treating female disorders, stress, tension and depression. Also commonly used for its aphrodisiac properties and beneficial effects on the skin. Our Rose Absolute Light is made by diluting 5% pure Rose Absolute (Rosa centifolia) with 95% pure Jojoba Oil. Rose Absolute is produced via solvent extraction, resulting in an intense fragrance that is considered closer to the true scent of rose, than Rose Otto. The pure absolute is incredibly thick and concentrated so our Rose Light, diluted in Jojoba, makes it easier and more economical to use. 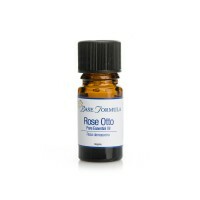 Rose is one of the most popular aromatherapy oils and is often referred to as the 'Queen of oils'. Our two varieties of Rose oil have similar properties however, our Rosa Centifolia is renowned for being more sedative, aphrodisiac and bactericidal than Rosa Damascena. 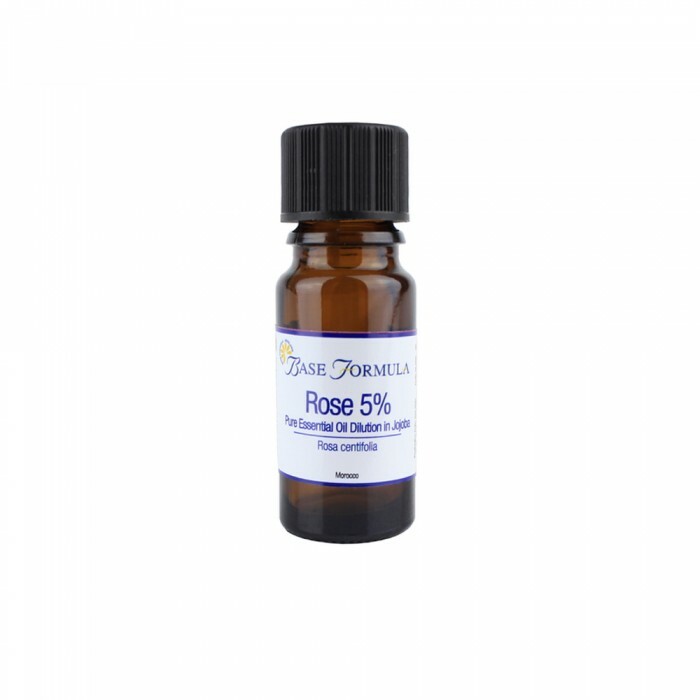 Rose is one of the best essential oils for treating problems relating to the female reproductive system. It has a particular affinity with the uterus and is therefore helpful for period problems including an irregular cycle, period pain, heavy bleeding and problems conceiving. It is also helpful for menopausal symptoms and emotional problems associated with the female cycle (i.e. mood swings and irritability). 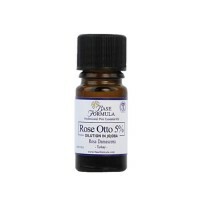 Rose oil is an excellent antidepressant and can help to balance the emotions and lift the spirits. It is often used to relieve anxiety, nervous tension, depression, post-natal depression, tension headaches, jaw pain (TMJ) and stress related insomnia. It is also thought to comfort the heart during times of bereavement or loss. Rose is renowned for its soothing, toning, rejuvenating effect on the skin! It suits all skin types, but is particularly recommended for dry, cracked, sensitive, inflamed, allergy-prone and ageing skin. With regular use it may also help to reduce the appearance of thread veins. Finally, Roses have been used since ancient times for their aphrodisiac powers. Cleopatra reputedly strewed copious amounts of rose petals on her bedroom floor to entice Mark Anthony. In modern day aromatherapy Rose oil is still commonly used for its aphrodisiac and libido boosting powers. It is particularly useful for women who are tense, nervous and lacking in sexual confidence.